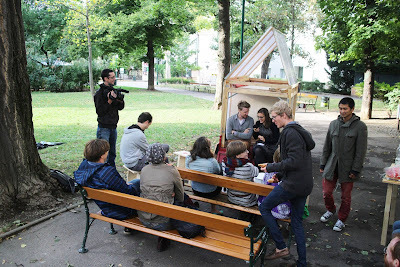 The whole structure on the back can be folded, so there is nothing left but a 1.5 m x 1 m box. 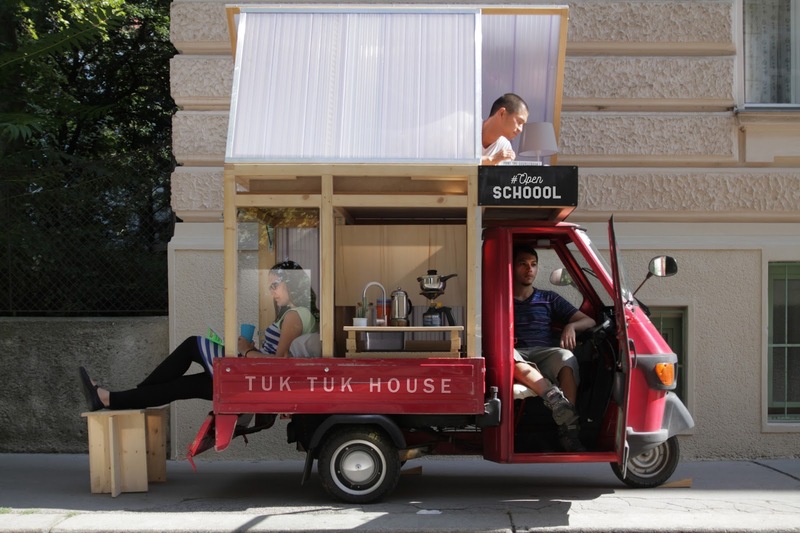 The whole Tuk Tuk House doesn't need much more parking space than a Smart Car. 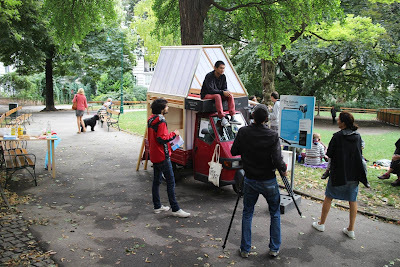 Designed by Alexander Naumann and Van Bo Le-Mentzel in 2015 for the Vienna Biennale in Austria. 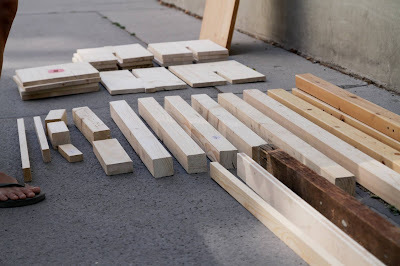 It takes ca. 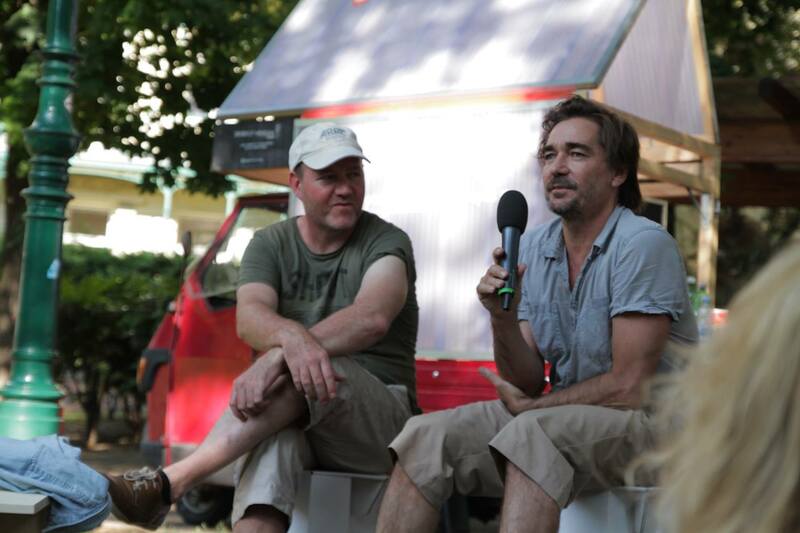 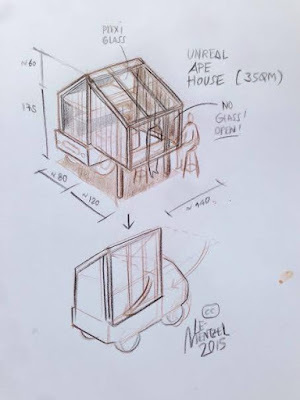 500 Euro and 5 days to build the Tuk Tuk House. We chose an Ape 50 Tuk Tuk from Piaggio, because we like old cars, that do not break. 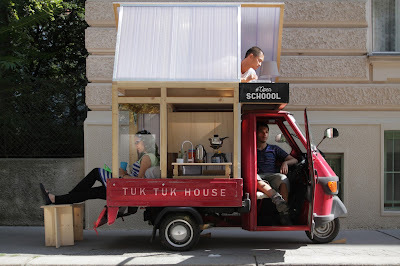 But of course you can use any Tuk Tuk car to make your own Tuk Tuk House. 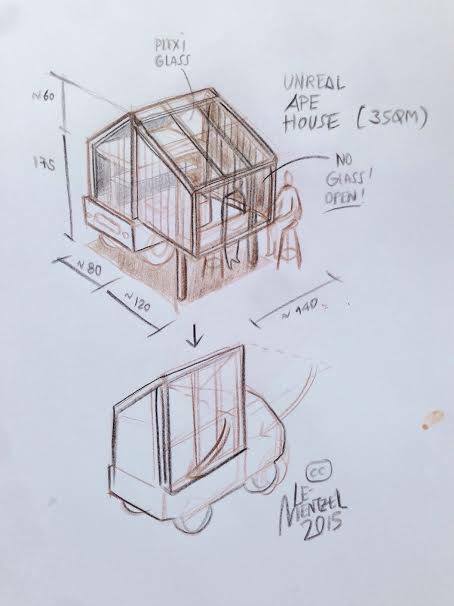 In the beginning there was just this sketch, which Le-Mentzel draw in a Café and hand over to the young architect Alexander Naumann, who finishes his architecture studies in Berlin. Material is pinewood, bought at the Home Improvement Store Bauhaus. 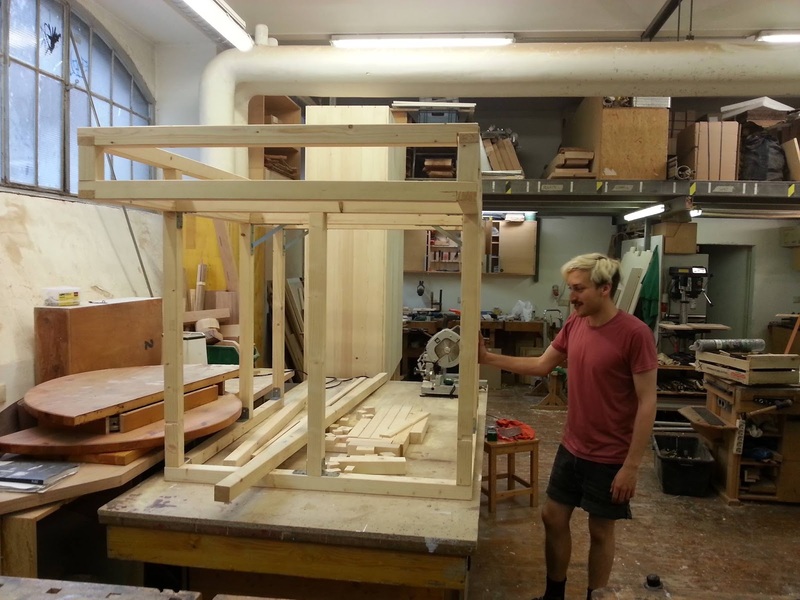 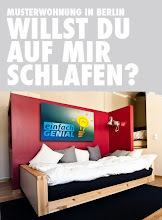 50% of our material was upcycled by Hand.Werk.Statt Mödling and given to us. Thank you! I really like the structure. 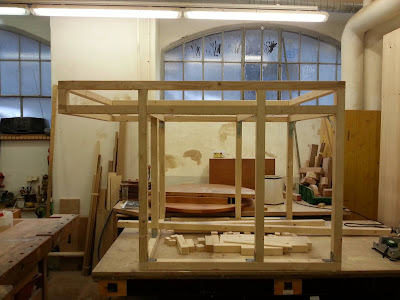 It reminds me of Mies Van der Rohe architecture. Alexander Naumann created and built the Tuk Tuk House almost all alone. 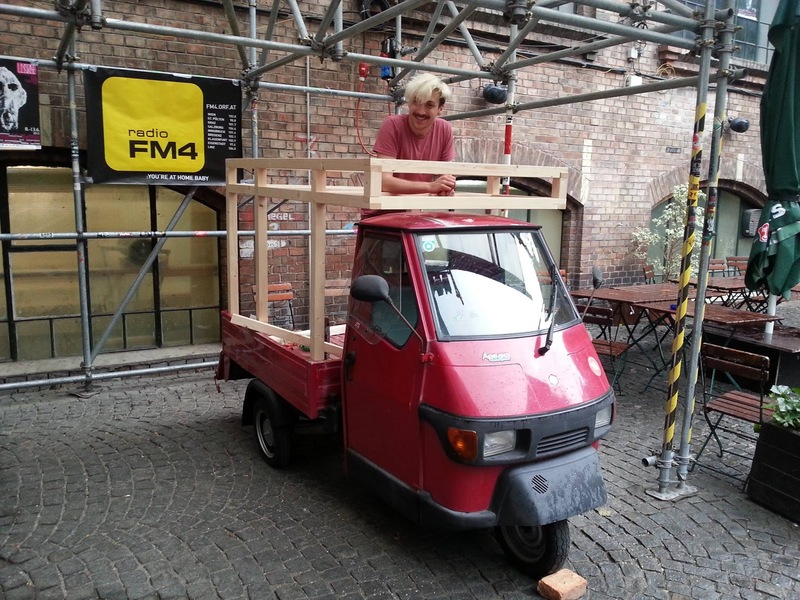 Actually you don't need many helpers to make it. 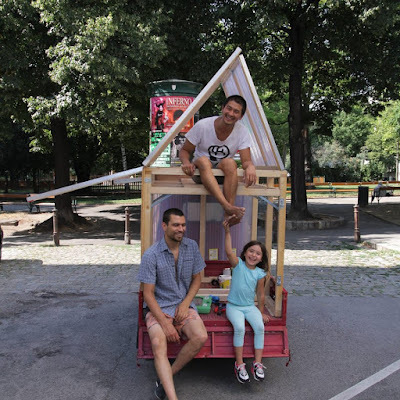 You can easily build it on your own. 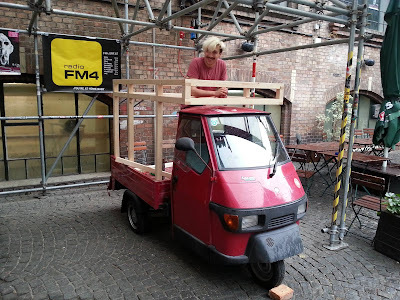 Never cut the wood before you checked the final measurements of your tuk tuk car. We tried to build as much as we can on site. 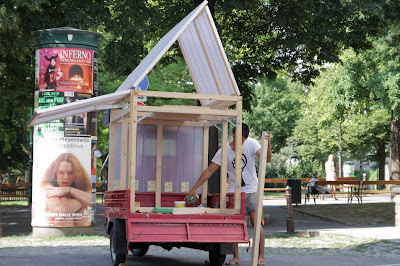 That means to build teh Tuk tuk house in public street. Building things together can be the beginning of a lively neighborhood. This younf father from the neighborhood came by with his 9 year old daughter and we started to construct the interior together. You see, this model is perfect for amateurs. 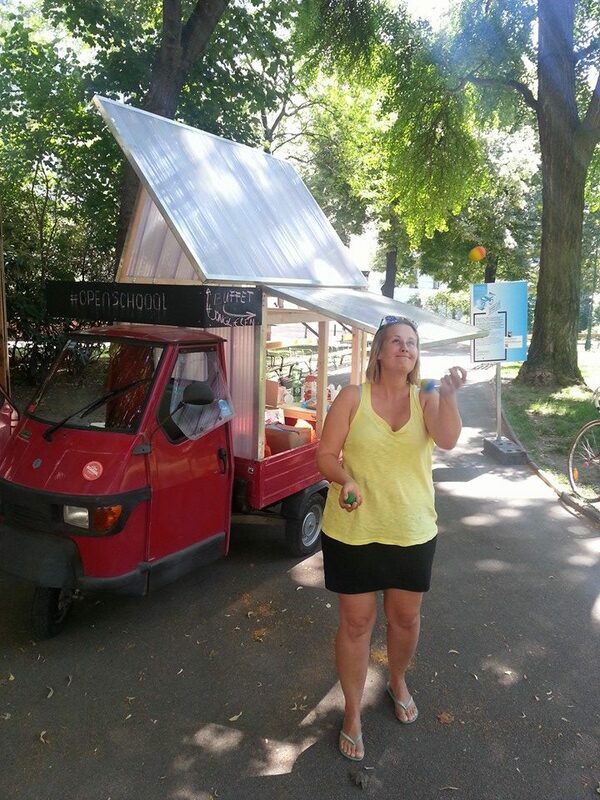 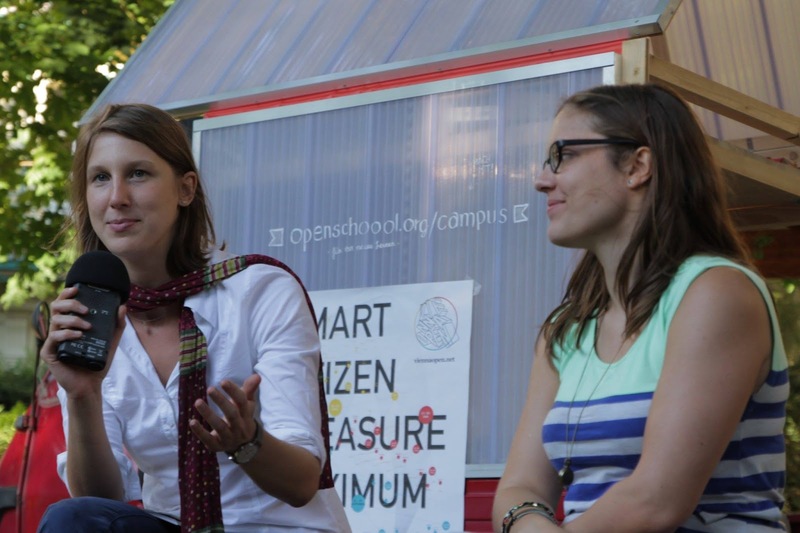 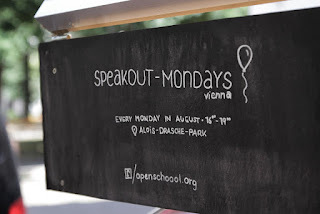 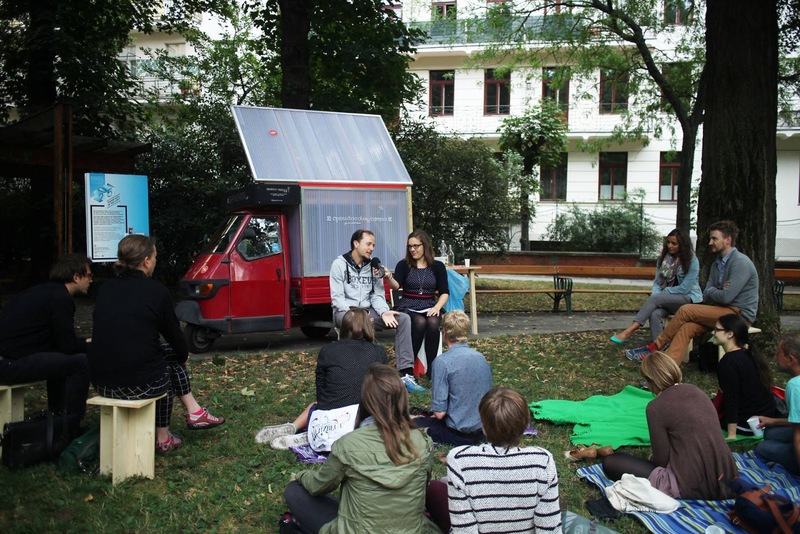 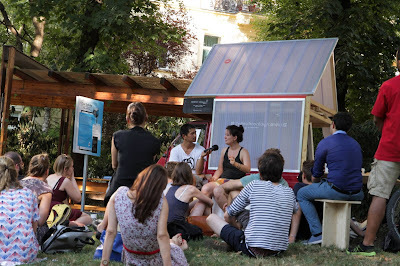 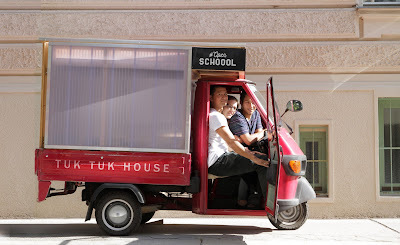 The Tuk Tuk House in action: Say hello to the #openschoool!